Digital Surveillance have the best and professional team of Security cameras installer in Orange County. Our dedicated team of security cameras installation in Orange County are available 24/7 for services of your security system. Surveillance cameras installation in Orange County is very necessary as the burglary is increasing day by day, we did many Surveillance cameras installation in Orange County, Security Cameras installation Provide Free Estimates services to all the customers. Our security cameras installer in Orange County are very professional and very friendly, Customers love to talk with them and provide very positive reviews and feedback of our surveillance cameras installers. You can call us any time and we will be very happy to visit your location with our professional installers and will provide you a free quote. 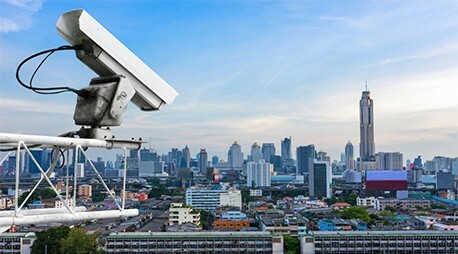 We will locate all entry points where surveillance cameras installation is recommended and will identify critical locations that must be covered by security cameras system. We will then provide you with a complete written proposal and design that includes several alternatives using different types of surveillance cameras system covering all entry points or just the main areas. This way you can choose the best surveillance cameras system and level of protection that fits your budget. For the best surveillance camera installation in Orange, call us today at: Our Goal is to provide consumers with the most up to date security systems at the best prices available in the market. As digital security is advancing at such a rapid rate we update ourselves to provide best customer services and technical support to our clients. We deliver the latest digital security solutions to our customers for securing homes or business. From real-time CCTV cameras monitoring and digital recording to biometric access and time tracking, we provide solutions that put you in control.